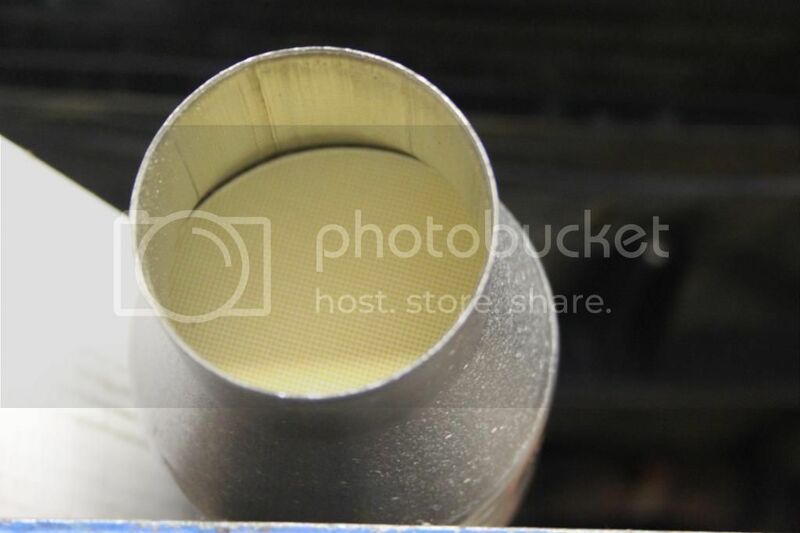 The stock crossover pipe from the exhaust manifold to the turbocharger is smaller in diameter than the down pipe from the turbocharger to the cat. Something like 1.875" od, but would have to measure this to be sure. Will do this tomorrow. 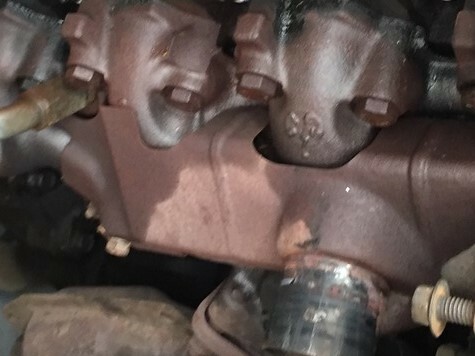 There were heat shields on it where it routes near the oil pan. Ceramic coating the crossover would be an option. I believe they were/are of stainless steel. Pipes are 2.25" from turbo out to tips. ID measured at flared end= 1.60"
Ave od pipe dia measured at straight segments= 1.75"
Ave od pope dia measured at bends= 1.60"
Last edited by gr79; 09-22-2015 at 03:15 PM. 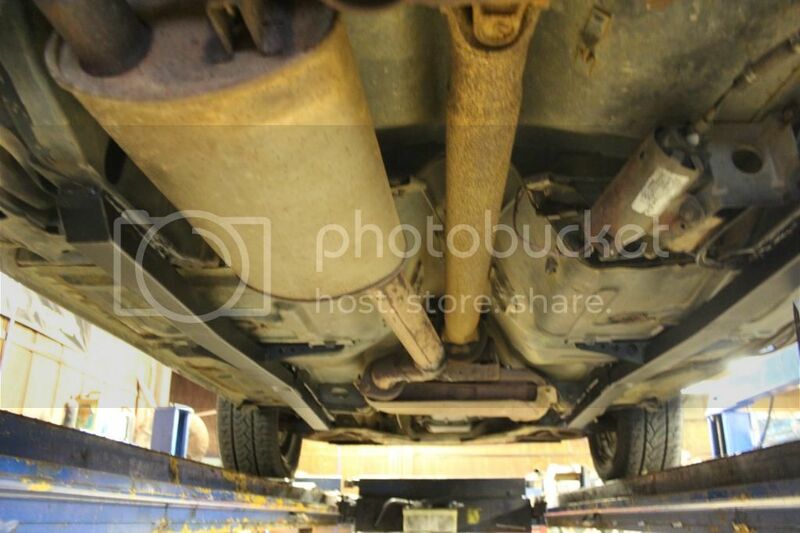 Does anyone have a photo or diagram of the complete exhaust pipes? 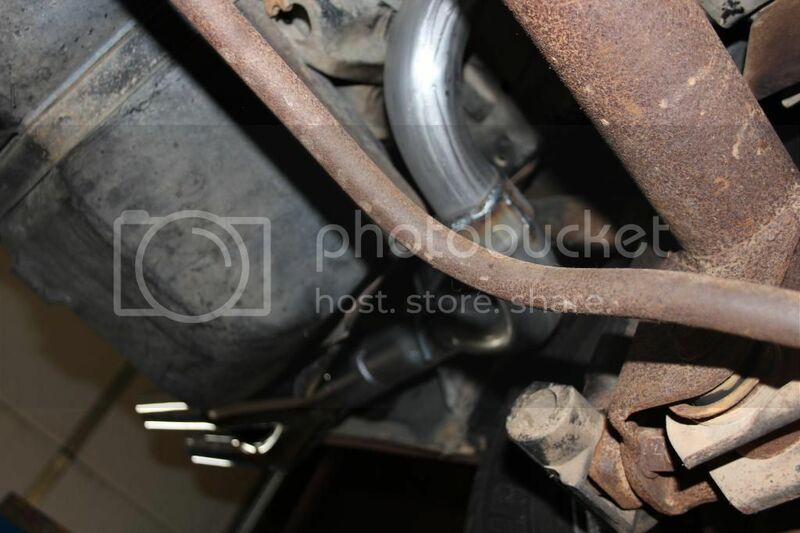 I see I don´t have the cat and I would like to have the original route from the crossover pipe up to the end of the exhaust even if I don´t have the cat. I saw a very bad pic in the chilton where the pipe goes from left front to right near the oil pan and then back to left until the end of the car. I'm about to head down this path too; where did you end up? After a bunch of calls to Jegs, Summit, LMR, BBK, etc. 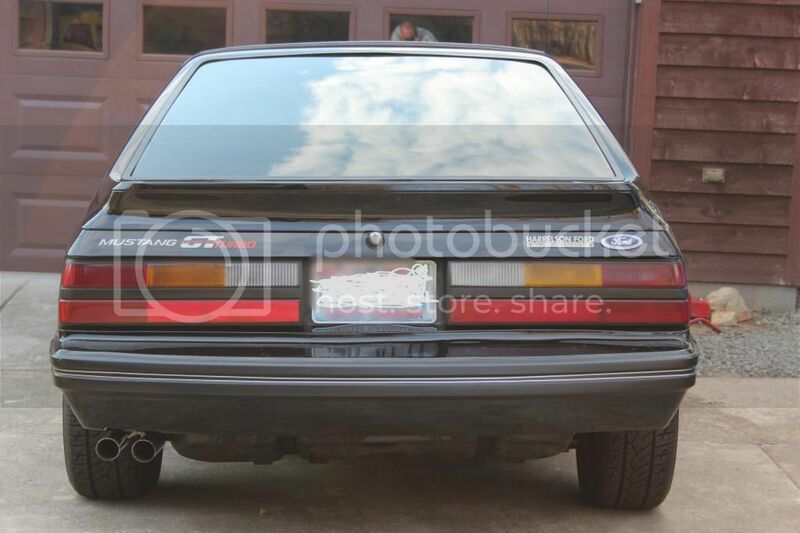 it looks like there is no universal Foxbody single exhaust kit that we could modify to make work. 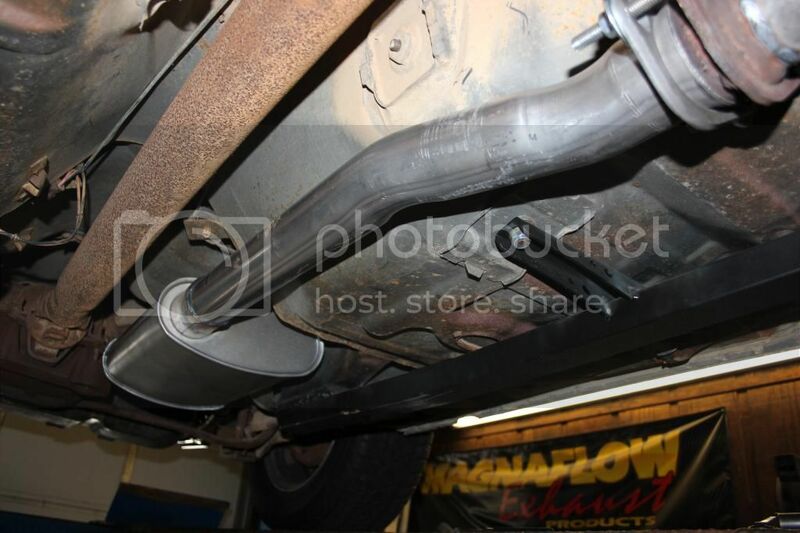 My down-pipe measures about 2.5 OD, then necks down after the cat location to 2" through the tailpipe. The CA compliant CAT I have is only 2" OD in/out which screws up my plans to go 2 1/2 all the way through. 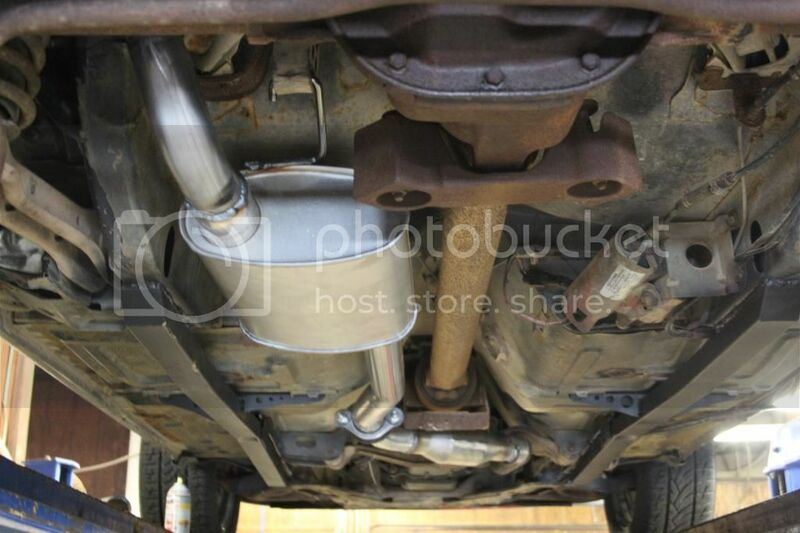 So I have to go to a muffler shop and have a custom one built unless someone has another idea. My suggestion is to contact Borla. They made the exhaust for the SVO. The stock 2.3 turbo non-svo Exhaust was similar but used a shorter muffler. Maybe Borla did that one as well. I have no idea about the earlier cars. At the very least we might get a nice tail pipe out of them. I have brought up the idea to them but have not followed up yet. I’m sure numerous requests would help. Good idea Kevin I'll hit them up now. Also contacting Stinger Performance as a search brought me there from the SVO guys; they make a turbo and mid-pipe back single turbo exhaust that may be the ticket but @ 3" may be too big for me. Interestingly my current muffler is not under the seats like on the car #10 I posted but rather its after the axle which may or may not be a good idea. You'd think Borla, Flowmaster etc. 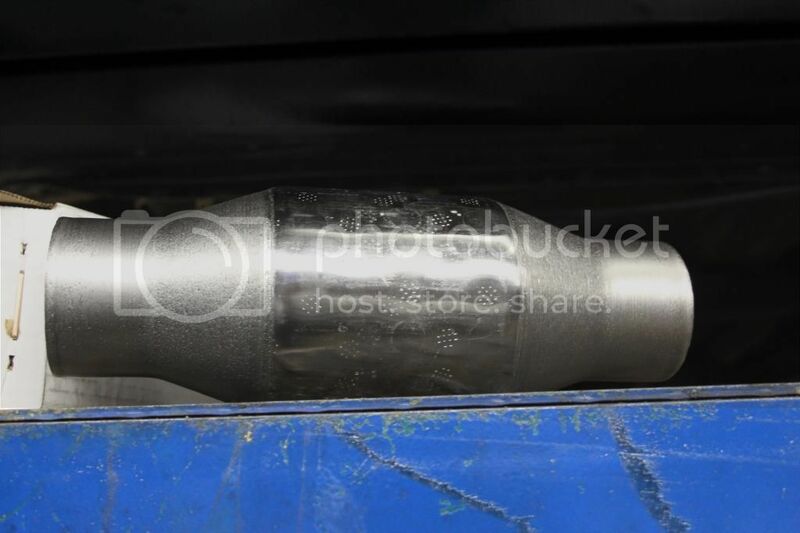 would simply sell/offer the driver side section of their dual cat back fox exhaust for us! Without the cat, the system needs extra support hangers to keep it in place. The cat, even a dead one, added needed support. Keeps everything behind it from 'twisting' or swinging in the hangers. Had a cat bypass test pipe once temp install. Exhaust system was banging around. Reinstalled cat. There are 2 rods and brackets on top that secure everything. The turbo pipes before the cat were a certain dia on purpose. Read a long time ago they were optimized setup for the Ford carb turbo engines. 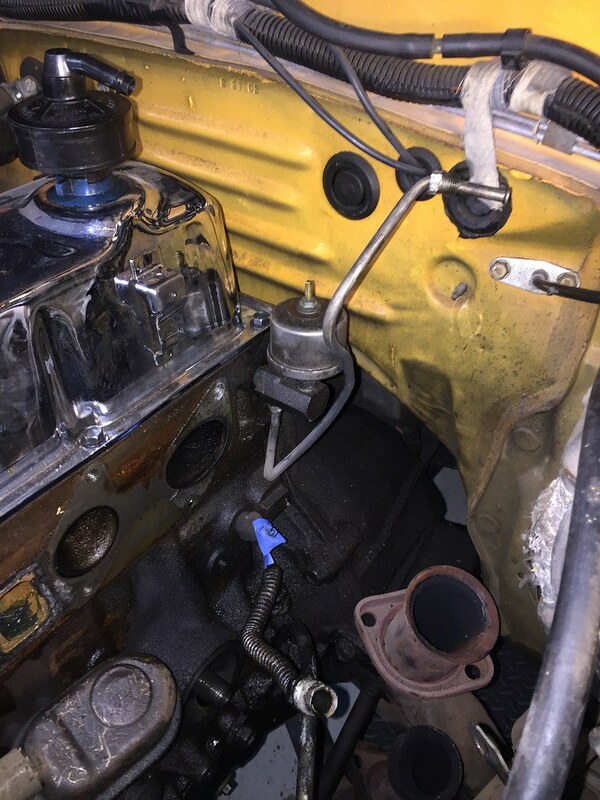 The small manifold to turbo pipe is to spool it up faster. Be hard to fit a 3" down pipe up there. EFI 2.3T uses no crossover. Lots use 3" dp. Clear shot back from turbo. cat back pretty sure all twin tip 2.3t assy. were the same except for hangers. 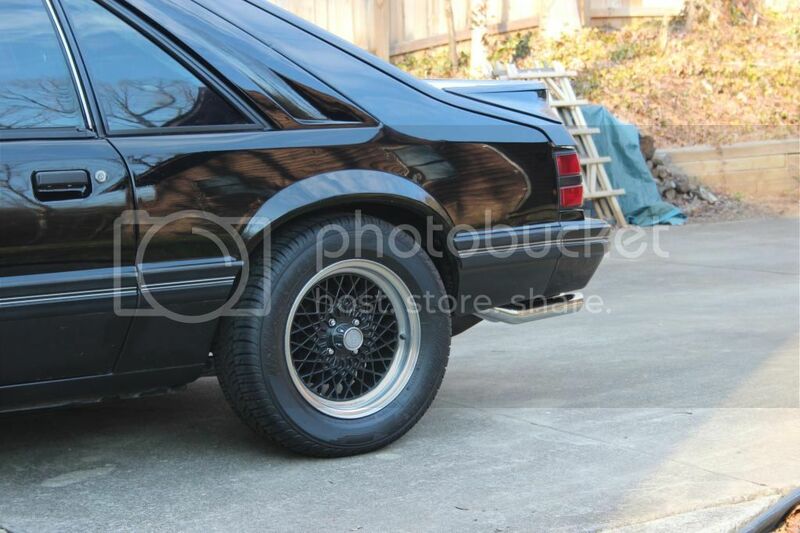 An 85 SVO assy fit my 79 with hanger mod. V8 single w/twin tip was similar too. Last edited by gr79; 09-26-2018 at 12:41 AM. Thanks GR very helpful. Borla and Stinger are a no-go. 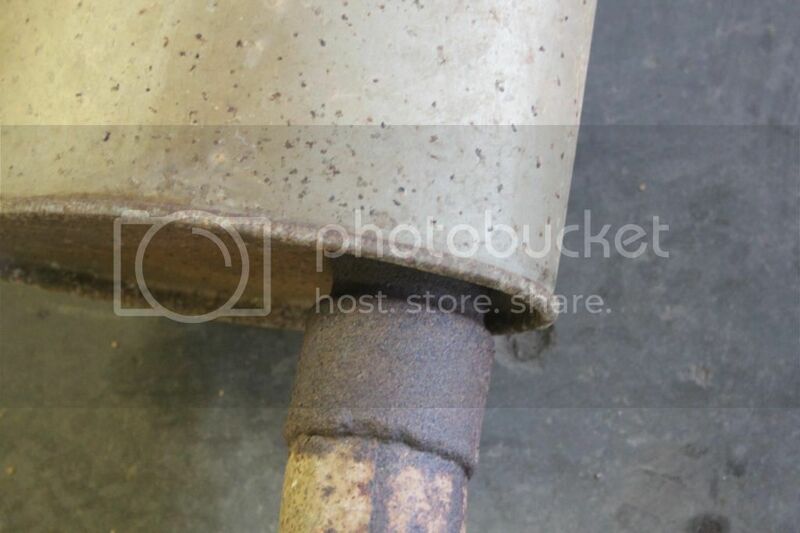 Looks like it will need to be muffler shop custom as SVO parts are uber rare and very expensive. Would like to find a source though for that split tip! The twin exhaust tips. One of the car's parts am very fussy about how they look dimension wise and being rust free. Are painted with VHT SP188 Ford Argent Silver hi temp wheel paint. Staying clean looking, matches the wheels. 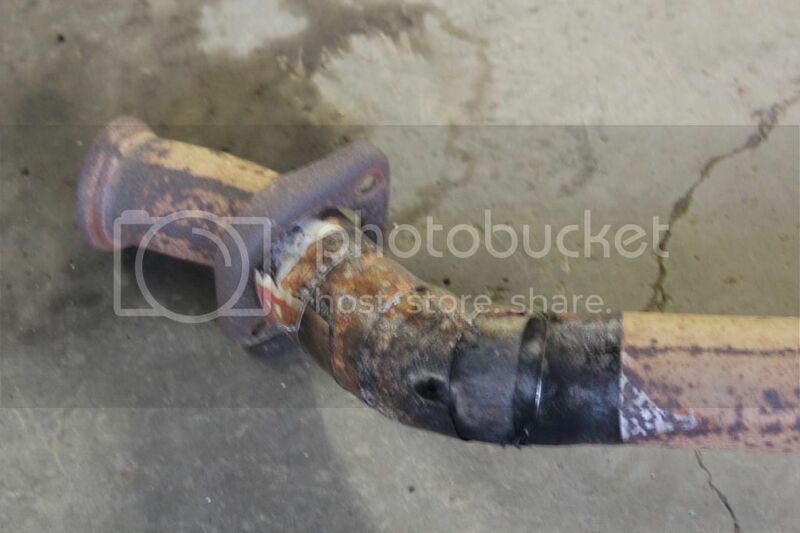 Almost like two standard curved tailpipes trimmed to fit and welded together onto the over axle pipe outlet. Shaped like a 2 tube header collector turned around to face the rear with two extensions. Some offer regular y's that are spaced too far apart. The early long versions were straight tubes angled up at the axle end to hide the weld to the over axle pipe. The later short version tips were bent upward at the axle end to hide the weld to the over axle pipe. Have slight angle cut at tip outlet. A good muffler shop could make one. Not chromed unless taken to a plater after. Polished stainless would be ok. I had a contact for Borla who I met at SEMA. I need to give him a call. He did not dismiss it immediately but said to call after the show. I have 2 business cards on my desk someplace. He did recall the SVO exhaust and that it would not require any engineering work. Kevin, since SEMA 2018 is happening now and I could not make it maybe you can give us an update? I ended up installing my CAT in the stock location and the muffler shop said the rest was totally usable and just surface rust so I went with what I had. Would prefer a new stainless cat back if it was available from Borla as an SVO remake or if that's not possible maybe just the left half of a fox dual system (which should be half the cost too )! Last edited by m81mclaren; 11-01-2018 at 04:44 PM. On my daughters pace car. 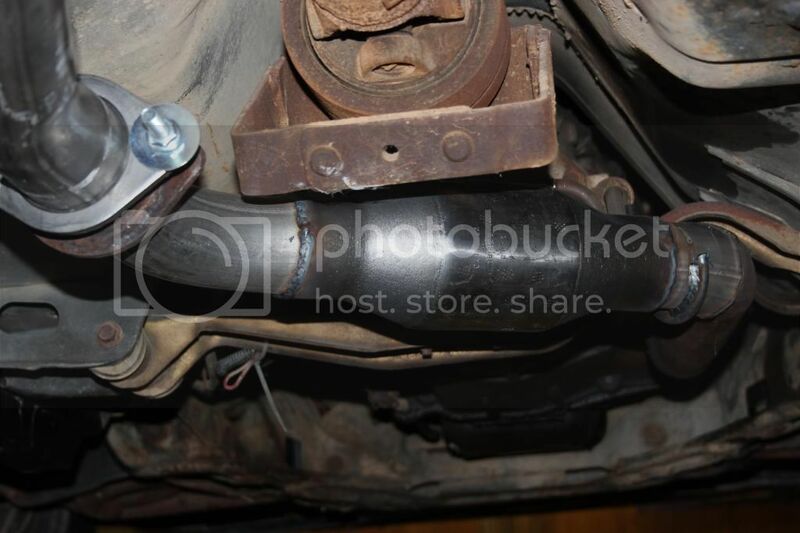 I had Midas Muffler make the front pipe from the Exhaust manifold to the turbo. They also made the down pipe from the turbo to the cat. I eliminated the cat and had them make a 2 1/2" pipe instead going to a 2 1/2" Walker Dynomax ultra flow muffler mounted on the pass side under the rear seat. Then used a 2 1/2" L.X. stainless tailpipe from late model restoration. looks great and sounds great. was the cheapest and easiest way to get an exhaust on her car. looks like a l.x. mustang from the pass side with the S.S. tail pipe and the slash cut tip. I do not care about originality. Midas still has the cards for the bending machine. At least mine does. 88 L.X. Hatch 5.0L H.O. That's a good option. My car was converted to EFI Turbo set up. I have a cat only exhaust which I will be deleting the cat. 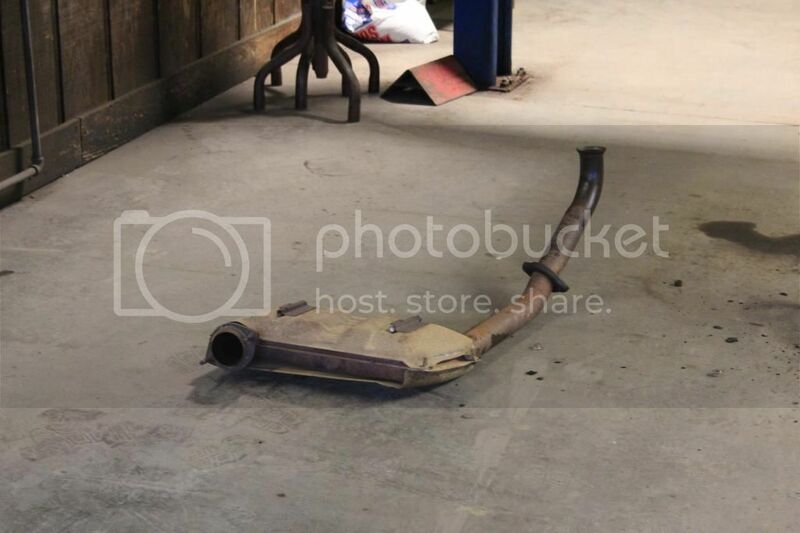 it's a 2.5 exhaust and I have a Pace car exhaust tip that will be added to the system. also going to put a SLP muffler. Not sure if this is any help at all but it's all I got. 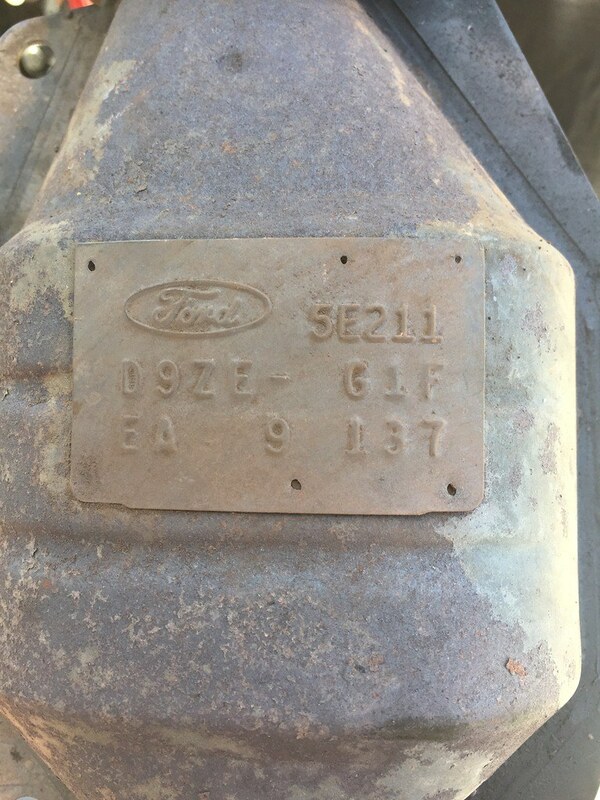 This is my '84 GT EFI Turbo exhaust I had done. Yes, not an early turbo car, I realize that. Sorry if it's not useful. The downpipe is SVO because it was larger diameter and bent much better than the stock GT Turbo downpipe was. By a LARGE margin. The Stinger twin tailpipe is close to OEM or maybe just "similar" is a better word but it worked fine for me. This is cut and pasted from my build thread. I just put the whole thing in case it's useful in any way. 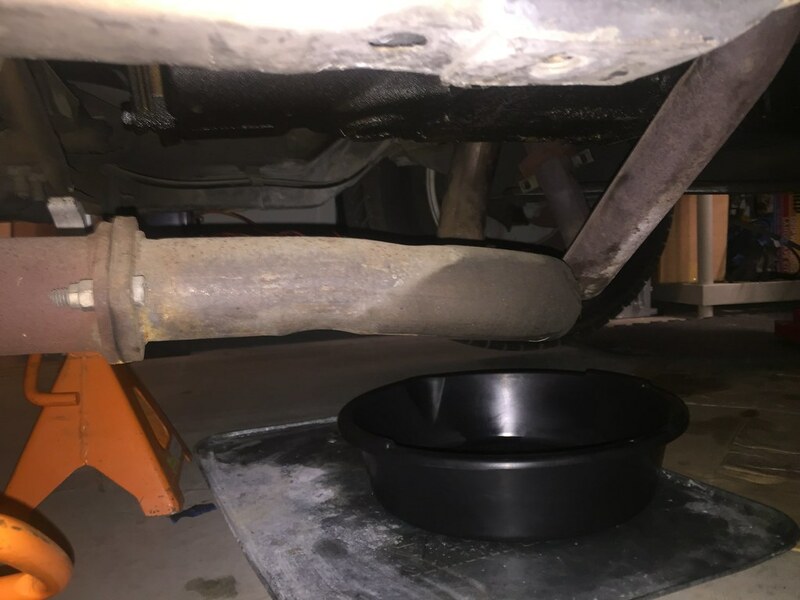 Here is how you stick a 2 inch muffler on a 2 ½ inch pipe. A BIG stretcher I guess. Looks great thanks for sharing homer302! Beautiful car, homer. What wheels and what is the offset/backspace? Thank you homer302. Nice GT Turbo. Ok, did I miss it? Homer302 what did you use for the cat back? 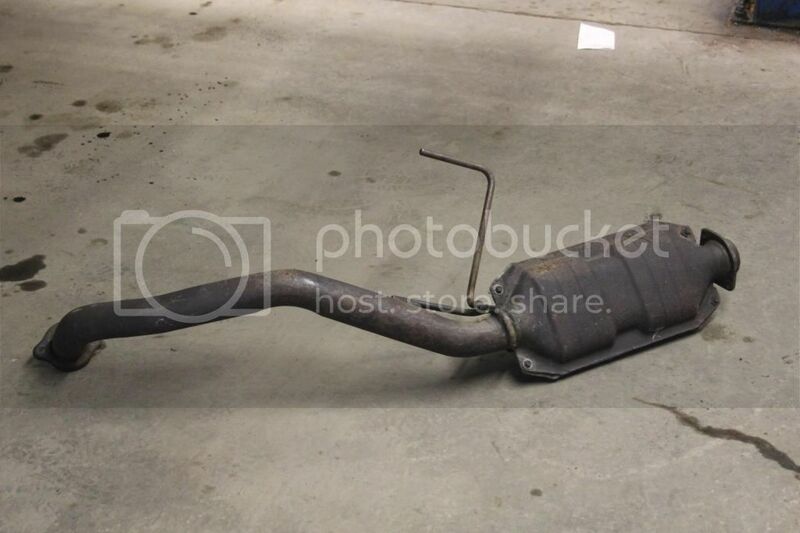 I’m pretty sure my muffler is gone. Looks good. Does anyone know of companies making aftermarket exhausts for the EFI turbo cars? I know Stinger is one but only offers a 3" system. Anyone else? 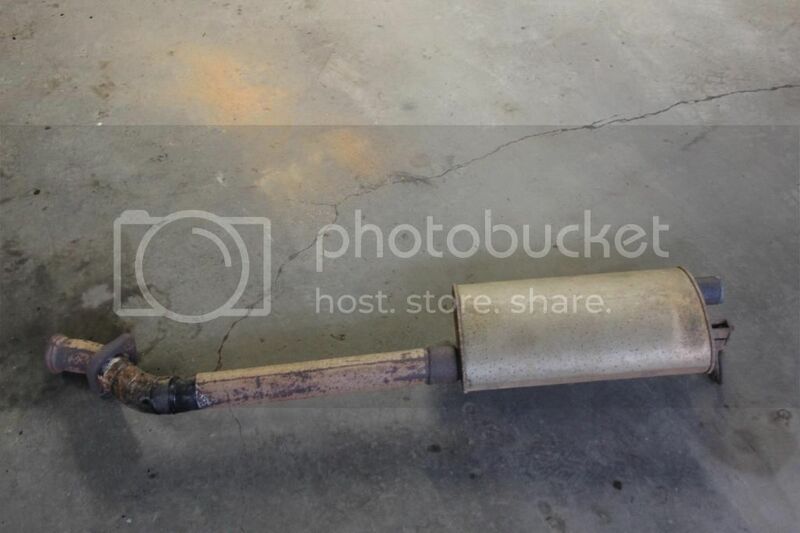 Pretty much going to be a muffler shop made to order welded job, especially 2.5". Can get early stock dia Mustang to 73 all day long and 2005-. NPD, etc. Most large factories are focused on newer models and restoration related. Not going to warehouse low demand anything. Nor set up production for that if they could. 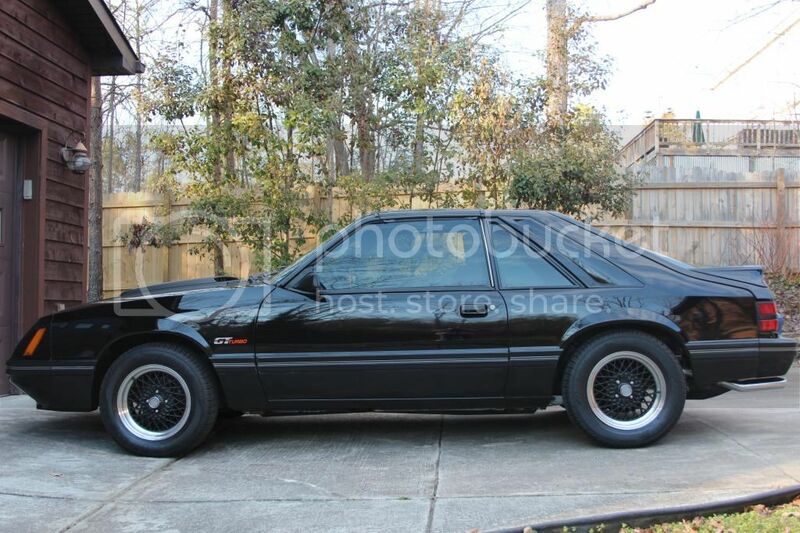 Fox and especially Mustang II are left out of the loop except for the usual V8 duals, muffler and back. The prints and dies are prob scrapped, sold, or rusting outside in the back of the factories. Lucky to have many local independent, small chain, or old time shops here that do great work, at real fair prices. Exhaust only. No brakes, tuneups. Most muffler chains want 2x for the same simple stuff. Auto parts stores offer little to nothing. SS pipes, large diameter, or thick tubing takes grunt to bend, need real good bending machinery. Usually a car show will turn up owners that know where to go locally. I thought I could salvage my mid pipe but it started to flake off on the inside. I took it to a local shop to copy. It’s been 2 weeks now so I guess it time to fine another place. The muffler was no problem. The tail pipe will have to be made as the stock replacements are too small for the matching muffler and still need tips added. exhaust component mfg, business cycles, 40y span. The timeline of internet and pc really changed business, for the good and not. 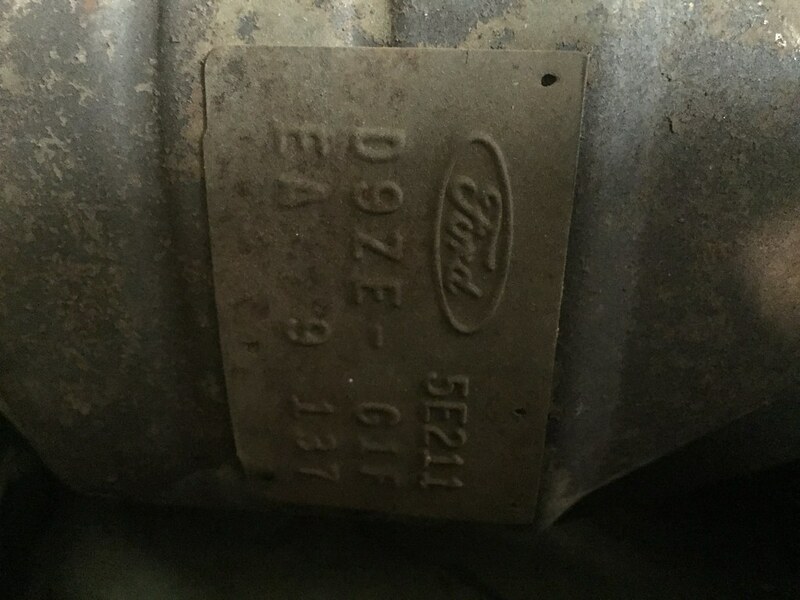 Ford may have blueprints for all their exhaust systems on file. Old ones too. Nowadays suppliers offer even more cataloged parts for OEM. Off the shelf products. Sensors, tires, light bulbs. Auto co's own the tooling and prints if they design the entire parts or respeced aftermarket. Supplier gets contract to build. Helps to research where the parts came from and what happened to the suppliers so as to find new sources of parts. When visiting DAP in the 70's, 80's, 90's, noted vendor bin tags. Arvin (AP?) and Walker as 2 exhaust component vendors. Having worked in the Detroit area auto industry parts chain a long time, knew parts could be easy or impossible to replace someday. Swap meets, car shows, parts counters, internet sources, give clues. Aftermarket needs a fairly large demand for production batch runs. Arvin/Maremont. Timeline includes buyouts, holding companies, capital. Good (older) videos of exhaust mfg. Robotic welding robots are more common now. Hand welding is used for repair. Times constantly change in the auto industry for one. Mergers have broken the chain for old replacement parts. What happened to the old companies and plants? Now, exh. contract factories near assy plants receive pre bent metal pipe, pre stamped metal parts, brackets, substrate for cats. Assy only. No parts machining needs to be done. Entire systems are built and racked for shipment to the assy plant floor. Aftermarket runs a wider variety of product, not tied into vehicle assy plant production schedule or contracts. OEM and aftermarket build to order in batches, then change over tooling for next order. Usually run a certain product at least one shift or more before changeover. Depends on order size and parts on hand. Aftermarket has large whse for finished product, OEM plants very little, ship just in time. Sometimes welds are still warm.